So when it comes to getting session players in for your own music you know that you need the best, especially when you want to jam through a song’s feel and haven’t written it down yet. 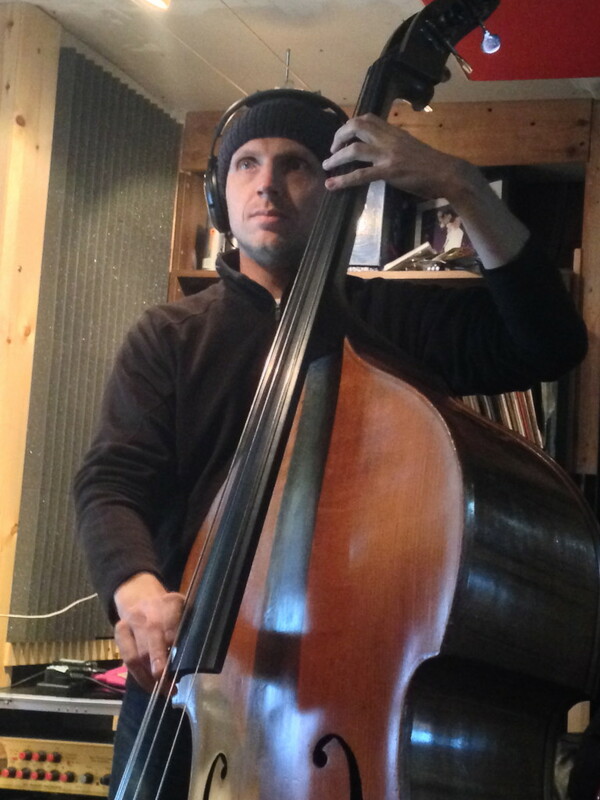 On bass for all the tracks so far I’ve used Chris Cliff. A lot of musicians know Chris in our area for working really well with Scott Ralph, it was in fact Chris who finally persuaded me to go in and use Scott to produce. Chris was playing bass live with my friends in the band Honey Ryder when I supported them in Liverpool last year and he heard my own music and was interested in getting involved, I jumped at the chance to use him as he’s such a great player. 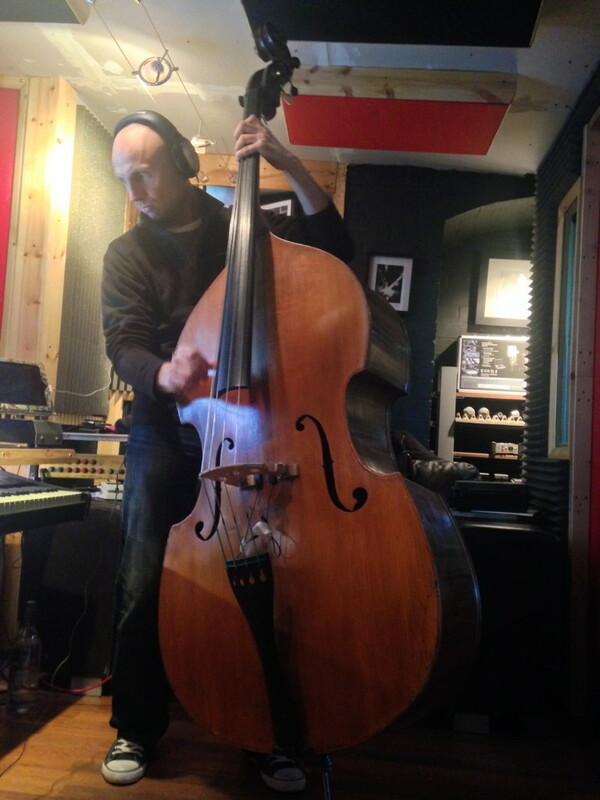 So on a few songs he suggested we use some double bass, it’s on two so far and may well be used for more. The previous post I talked about “Battlefield” the song, when you finally hear the album listen out for the amazing double bass part in the instrumental! I had a go, but turns out that bass is WAY too big for me! So, as mentioned previously, Scott is on drums for the songs and I’ll be using Chris for the rest of the album on bass and double bass. I hope to bring you some short video clips too, as the recording progresses. Keep up to date hear on the blog and sign up to the mailing list – “You Lie” release is getting close, don’t miss out on hearing it first!